Welcome to Kage, the Cellworld Campaign Setting, so named for the Dark God imprisoned within the world itself. 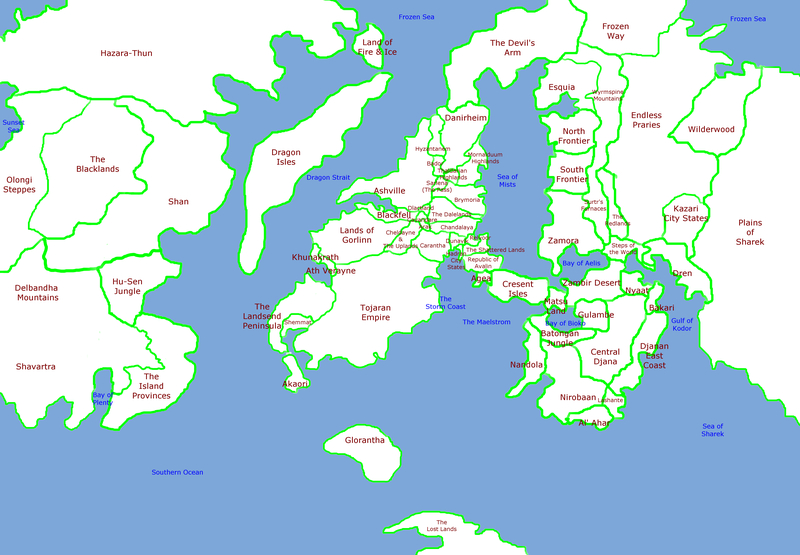 This fantasy setting began as Connors' mix of original and mashed published settings, but later was combined with Blair's home brew (Hazara-Thun) and Shane's creation (Shrekk - yes, that was its name before the green ogre. The great plains that were the feature of Shrekk, are now known as Sharek). Most material is now 'original', though the Dark Continent of Djana uses a lot of the history and ideas from Atlas Games' African Adventures by Chris Dolunt. We have changed other areas (for eg the oriental lands were simply Rokugan in one incarnation, a modification of Kara-Tur in another, and now players will see familiar signs from both and other settings, though a lot of it was ported from Blair's central setting of Hazara-Thun). Though, the 'Indian-like' section is based upon James Wyatt's adaptation of 3E's Oriental Adventures. Over time we have phased out material borrowed from other settings, but we may need to go further now this is 'out there'. My settings (including Kage) were never meant to be great original works, but a setting that players immediately feel comfortable with and where most core options are accepted. Real world history has also played a major influence. Of course we have done a lot to give it a unique twist or feel and feedback on how this could be taken further is welcome. September 12th, 2015: Added the most complete World Map to the Kage Homepage & updated the banner. August 24th, 2015. 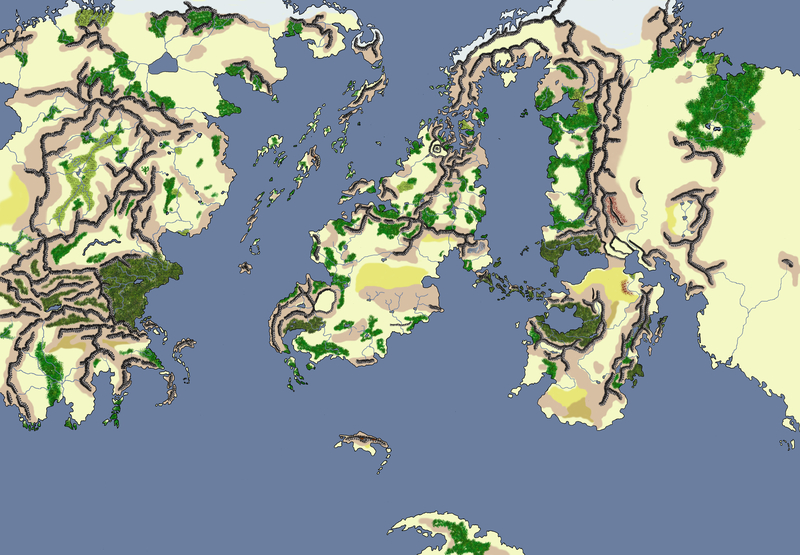 Added a Homelands Map to the Kage Homepage. August 6th, 2015. Hazara-Thun Campaign Pages started. PC Page up. We have also started HT as a mini-setting (in top nav bar). Uploaded file "Kage - work3.jpg".